Ice on the road, your car, sidewalks, driveways, and pathways is one of the biggest dangers of a harsh Brockton winter. It’s natural to be worried about feet of snow, hours of shoveling, and so on. When a heavy snowstorm hits, but something just as menacing is also present: ice. Ice presents many dangers and risks to your home, to your car, and to your safety as you move around. In your property or as customers move around your business location. 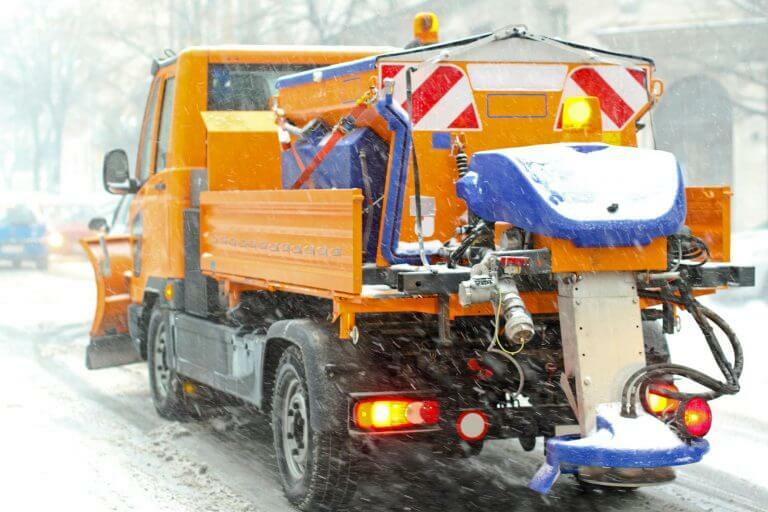 Brockton Snow Removal has a team of professional technicians who are experienced in the industry standard proven methods of ice control service that save everyone time. Also it reduce the number of accidents. In addition to removing the snow and ice after a heavy storm. We also help prepare the location for the next snowfall by treatment with solutions. That's make it easier next time. There’s no doubt about it. Removing snow and managing ice on your property is just one of the most exhausting. Also, time consuming activities there are in winter. It doesn’t matter if you’re a homeowner with a residential property or a business owner with a commercial property. It’s going to take up a lot of time and energy to clear out. Arming family, friends, or employees with shovels and rakes isn’t going to do much with the snowfall we see here. All you’ll get is a bunch of hungry and tired snow shovelers! Brockton Snow Removal utilizes powerful time saving methods and equipment to get rid of that snow and ice quickly. One of the biggest advantages of having a professional ice control service available is that you can greatly reduce the risk of serious and expensive accidents. If you’re a business owner, you certainly don’t want motorists in your parking lot to hit each other or another person and then cast blame on you. Or for that matter, a customer slipping on ice on the way into the store. The liability is risky and having an ice problem at your location is bad for business! If you’re a homeowner, then just going outside to get the mail from the mailbox can be a big risk. Ice is hard to see and just a small piece of it can cause an expensive and painful injury. The last thing you need is to have your pleasant winter interrupted with a trip to the hospital. We totally understand how much snow and ice can impact our lives here, and it’s our goal to help life go on as smoothly as possible despite the weather. We use the best equipment available to ensure your snow and ice control service is rendered completely and with total satisfaction. The methods we use are industry standard and have been proven time and time again to work and be highly effective. There’s no need for you to spend hours researching a good snow plow and other equipment, investing a fortune, and the having to the work anyway! Especially not when our professional snow management services in Brockton are available 24 hours a day, 7 days a week, and are fast and affordable. When you combine the best equipment, experienced and hard working technicians, and the best industry methods of ice control service with fast service, great customer experiences, and reliability, you have Brockton Snow Removal. We want you to enjoy your property freely throughout the winter without the fear of slips and injuries. If you own a business location, we want you to relax knowing that we’ll make sure your parking lot is clear and safe from snow and ice that could cause liability issues. With a combination of responsive and preventative methods, we are the leading choice in our region.